Buy a safe and stable adjustable workbench at an insanely favorable price. The bench has a nice seat and is made of quality materials that can withstand a max load of up to 200 kg. 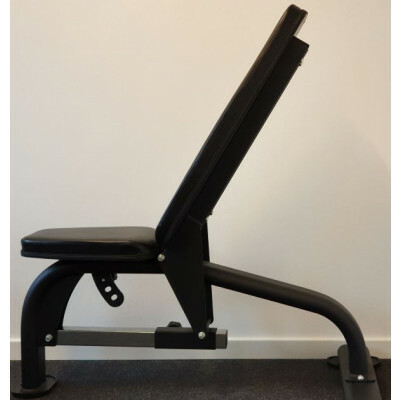 The bench fits our other equipment, and is suitable for all basic exercises including bench press, abdominal exercises and dumbbell training. A bench is indispensable for training with free weights, where the exercises require partial rest to parts of the body, by lying or sitting down. The bench is with fixed legs - ie. they are screwed and cannot be folded up / down. The bench is also popular as home training equipment, and is cheap in procurement.